Hurricane Irma swept though Florida with high winds and heavy rainfall, leaving plenty of damage in its wake. 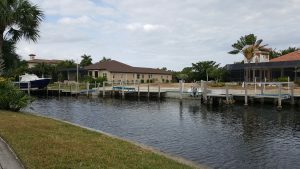 The seawalls at Burnt Store Marina in Charlotte Harbor, located on Florida’s Southwest Coast were damaged and in need of repair. Repairs would be difficult, as sections of the seawall were in a challenging location. Burnt Store Marina is the largest marina on Florida’s west coast. It has been around since the 70’s and had been owned by a series of real estate developers, until Safe Harbor Marinas purchased it in January 2017. The purchase brought much needed capital for improvement, growth projects and deferred maintenance. The marina is made up of 526 wet slips and land storage for 300 plus boats with plans for more dry storage in the near future. With more than two miles of seawall, the hurricane caused more than 1,400 feet of seawall to collapse, much of which was causing significant revenue loss. Jaret Rogers, the marina’s general manager, said that as the storm came through, the high winds created a very strong negative tide, washing the waters out of the marina and leaving boats on the bottom and the seawall exposed and dry on the basin side. The heavy rain from the storm flooded and saturated the ground behind the wall, creating tremendous hydraulic pressure on the land-based side of the wall. With no opposite pressure from the seawater, the wall cracked in places about midway up the wall at the oyster line and fell into the marina basin. Fortunately, there was no major damage to boats in the marina, but the wall needed replacement to bring critically needed slips back to the marina’s inventory. After the storm, Florida Marine Construction began replacing an 800-foot section of the wall and was doing so with traditional concrete seawall sections and construction. That construction wrapped up in March of this year. With slip revenue being lost at the time, a second company, Benton & Sons Construction Company started work on the seawall with an innovative modular system from Truline. The construction business is a fourth-generation company that has strong ties to Florida statewide coastal construction. Based in Lee County its jobs included the seawall and dock construction at Burnt Store Marina in the mid 70’s. The father of Roy Benton III, the company’s current owner, performed those duties. Having started construction projects in early 1918 Benton & Sons built piers, marinas and other projects around Florida. Benton & Sons started the project in May 2018, replacing the marina’s seawall. The original contracted section was completed in August 2018. The company is continuing to work with various homeowner associations in the community, who also want existing aging seawall replaced with the Truline product. Two phases are already completed and more have been added. The first phase, for Safe Harbor Marinas, was a 545-foot Truline seawall. The second phase for Prosperity Point Association was another 545 lineal feet, with an additional 300 lineal feet added, totaling 845 feet of seawall for the second phase. The section of seawall Benton replaced within the marina was in a tight spot behind some houses. Other sections in need of repair had expensive docks with lifts attached in front of the seawall. Conventional seawall construction would have been complicated and required more equipment and the removal of these lifts, which were not the property of the marina and were otherwise undamaged. The Truline product helped do the work in tight spaces. Truline’s modular construction does not require the removal of existing structures, and the equipment required for installation does not need extensive space. The material is also lightweight and easily transported on-site. Benton also replaced another section of seawall on a small lake within the community and the ability to bring in smaller equipment and a small barge made the job less impactful to the high-end community. 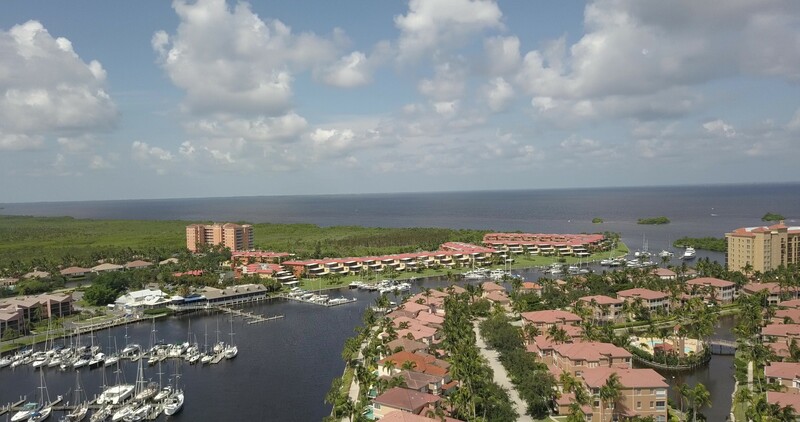 This also benefits the marina since the construction with Truline does not require a lot of staging space so the marina can operate as normal. Shawn Maher, Truline’s Florida regional sales manager, explained that apart from its durability, aesthetics and cost effectiveness, project engineers, builders and developers are recognizing Truline seawalls as an excellent option when workspace is limited and heavy construction equipment can be problematic or unappealing. A Truline seawall can be built as a new wall or in front of an existing one. When properly designed and installed, the seawall will have a life expectancy of 75 plus years. Made from PVC that is light and easy to maneuver, transport and available in various colors, Truline can be installed with small equipment and minimal impact. It is essentially an 8-inch steel-reinforced concrete wall that is encased inside a vinyl form for long-term protection. The forms are U-shaped and link together by interlocking one into the other via molded-in channels. With a driving guide, they are driven into the ground or are pinned to a rock base with the pins being driven into the solid base. The installation versatility can help reduce costs. Typically, soil conditions vary within a project site and with Truline, the contractor can drive the forms in the ground and when they hit rock, they can cut it off and pin it in the rock. When the last form is driven in, an end cap can be slid into it, finishing the end of the wall. This also makes it easy to expand or complete sections at a time, if desired, as was done in Burnt Store Marina. So far the marina has installed 545 feet of Truline seawall, with plans to install more in the future. Rebar is positioned within the channel and weep holes are installed to avoid water buildup behind the wall. The forms are then filled with concrete. Tiebacks such as tie rods and deadman/anchor systems are then implemented based on engineering requirements and space limitations. A top cap is then installed, which can be a formed concrete cap (such as was built at Burnt Store Marina) or treated lumber and composite lumber along with aluminum versions that could also be chosen. A backfill is then installed with a compacted free draining material.